Once you have the right winter gear, it’s easier to lace up or buckle in and go, even when the thermometer is clocking below-freezing temps. Arc’teryx Phase Series provides options for all types of winter conditions. 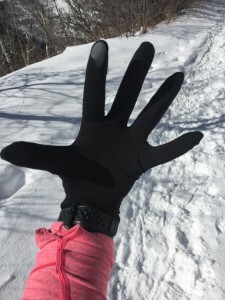 If the sun’s out and it’s 20 degrees fahrenheit or above, the Phase Gloves from Arc’teryx, with their counterpart Phase AR (All-Round) Headband, are light and unobtrusive to wear for running or snowshoeing. The Phase material is designed as moisture-wicking base layer. The headband could sit underneath a ski helmet, but it’s most useful on its own for running and walking on mild winter days. If it’s precipitating at all, cover your head completely (a Phase Beanie is available). 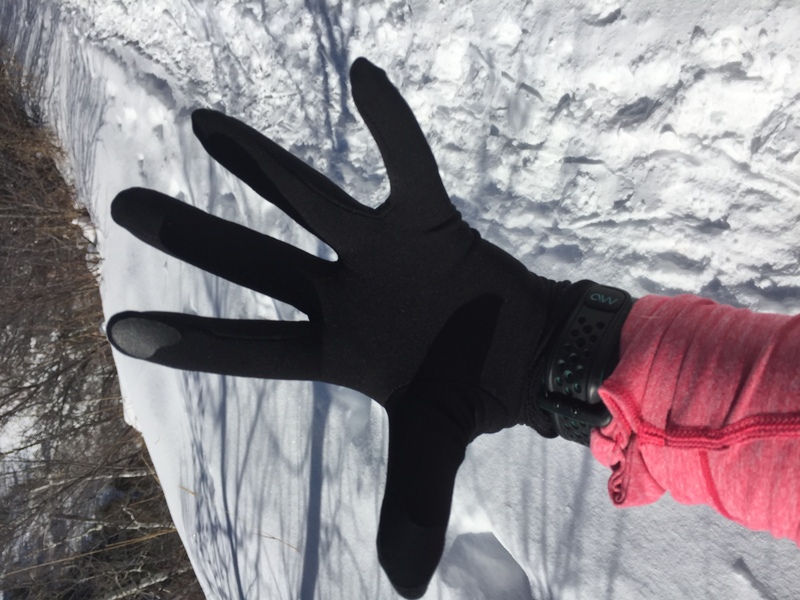 The gloves are very lightweight, but (like a rule of thumb with your general body temperature), if your fingers start just a little cold at the beginning of your run, they’ll likely warm up quickly and only need a light layer of coverage. If you have poor circulation or suffer from cold hands often, go for a warmer glove. The touch screen capable first finger and thumb on the gloves is nice when you need to change your music or take a snapshot with your phone. Just make sure you order the right size so that the finger sleeves are snug against your fingertips. Women will generally wear extra-small and small, and men’s size will generally start at medium. On colder days, keep the core nice and cozy with the Phase SV (Severe Weather) Zip Neck. It’s the kind of bone-warming long sleeve shirt that makes it easier to get out the door early, even on really blizzard-like mornings. 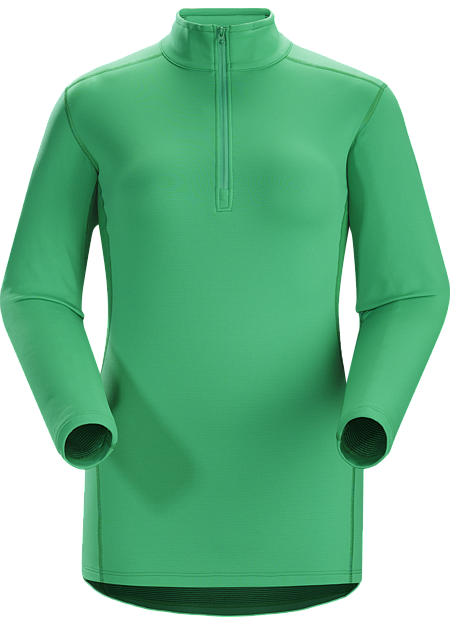 The Phase base layers come in lighter varieties, but the SV can stand on its own or as a mid-weight, wicking insulator underneath a lined or shell style jacket. The fabric is meant to be odor controlling, but I found that the underarms maintained some scent residue after a sweaty adventure — nothing, however, that was out of the ordinary. The pullover is not “odor eliminating,” so some perspiration smell during exercise to be expected. I wore the top twice before washing it, which left it fresh and wear-ready again. The base layer is simple, with no extra zippers or pockets, and the women’s cut is figure-flattering — a good length with built-in curve at the hips. The stretchy fabric is nice, too. Arc’teryx has a line of Phase bottom layers as well, available in All-Round and Severe Weather varieties.